Tulsa Ballet | Support Tulsa Ballet with a Membership Contribution or Donation! Support Tulsa Ballet with a Membership Contribution or Donation! In ballet, révérence is performed as a bow or curtsey at the end of a dance sequence on stage before an audience and at the end of each class as a sign of gratitude towards the teacher and the pianist. A Reverence Gift is a gift given in honor of somebody for their work or in memorial of somebody who has passed away. 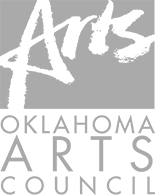 Tulsa Ballet is a 501(c)(3) public charity that depends on your tax-deductible suport. For more information, please contact us at (918) 749-6030.